A favorite of many 'O' guage and 3 rail modelers. Athearn has delivered a wide range of top-quality trains that share the excellent detail, extensive features and extreme value that appeal to all modelers. Atlas has its roots in model railroad track and accessory making through invention, innovation and ingenuity. Atlas has a proud reputation as a family-owned business and is well-known for quality and excellence. DCC systems, decoders and an excellent source of information for sellecting a system and decoders for different engines. World class RC models and accessories. 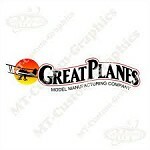 Trains, RC's, Models, Quest Rockets and more. Too much to list. Gheck 'em out. This will open up thousands of items in all sorts of catagories. Do your looking and research, then go to "contact us" and we will help you. When Kadee® Quality Products was formed it was with the idea of providing a reliable, realistic, automatic coupler and since 1947 Kadee® has remained a leader within the hobby. KATO has come to be known as one of the leading manufacturers of precision railroad products for the modeling community. Micro-Trains® also produces a line referred to as 'Special Editions.' These cars capture a variety of popular, and fictitious schemes & heralds on freight cars that would otherwise never appear on the rails. Classic Toy Trains and Classic Trains. Walthers is more than your source for model railroading equipment; we're your go-to-guide for the latest and most exciting information in the hobby. Be the first to know about products as they hit the market. Visit their site and our store for all your scenery needs.